On Saturday, my sweet girl turned 3. THREE!?!?!??!! Where has my little baby gone??? She's really into Hello Kitty right now, so this was her cake for her party. And this, by far, was her FAVORITE gift- a sand box. I forsee HOURS of fun ahead for us this summer!!!! Your blog is great and i dare say I'll be trying out some of you recipes... Thanks! 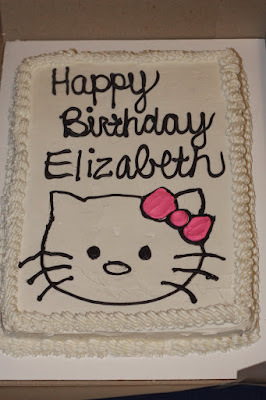 Happy Birthday Elizabeth! My baby is about to be 4! They grow up way too fast! She can't be three already!!! It seems like yesterday we were holding our sweet girls for the first time. Time is passing much to quick! I can't believe she's 3 already..I remember when you were leaving to get her -the time has just flown by!! Happy Birthday! I love her Hello Kitty cake! A Happy Birthday to Elizabeth. My, has time gone this fast? I also can't believe I've been reading your blog this long. I've enjoyed every post. Happy Birthday! 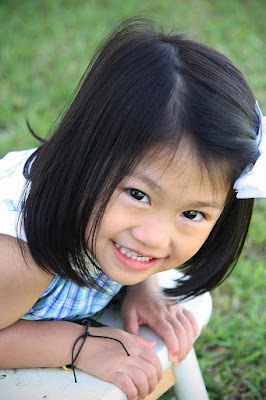 Time does go by to quickly, I know you savor every moment with Elizabeth! We both have early May girls, Kate's birthday is this week too!!! Happy Birthday! My little "sweet pea" turned 16 this year. I feel the same way, WHAT??? Enjoyed the pictures! The time goes by so fast! All mine are getting big too fast! Happy Birthday to Elizabeth! she's very cute! The Hello Kitty cake was great!! Happy Birthday Elizabeth!!! What a great picture of her. 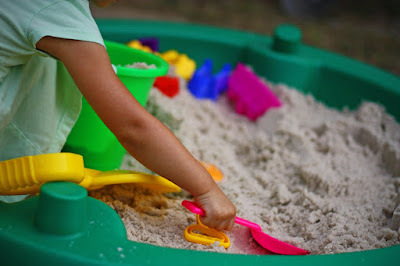 The sandbox was one of my favorite things as a little girl. Happy Birthday to your little cutie-pie! That cake makes me smile, and the sand table is awesome. My kids had one, too, and they just loved it. I'm sure your daughter will have a blast with hers! Oops, ps...I hopped over here from Sugarpie Farmhouse. I love seeing other people's blogs! I knew something was going on because you hadn't posted like normal. Birthday preparation takes a lot of time...now I know why. Glad nothing was wrong! Hi this is my first time to your blog!!! Time flies! My baby will be 7 next month. My oldest is now 16,I look at him sometimes and think "wow,where did my baby boy go and in his place this fine young man" Enjoy each moment! How Sweet!! Happy Birthday Elizabeth!! Time flies! Happy birthday to Elizabeth! Happy Birthday, Elizabeth! :o) My, they do grow quickly, don't they?